The MedBest Premium Search package includes the 25-step program located within the Advantage Package. What sets our Premium package apart is the addition of the elite DISC Assessment. The Dominance, Influence, Steadiness and Compliance science based assessment process captures a candidates motivators, behaviors and competencies. This extensive system analyzes candidates for 55 different job-related traitsincluding leadership styles, sense of urgency, customer focus, teamwork, and much more. By analyzing these skills, we understand how an employees behave, what soft skills they possess, and what motivates them. The DISC assessment looks well beyond the paper resume and personal interview. It unveils the mindset of candidates. This process is invaluable to an employer who seeks the best way to manage specific personalities. It is invaluable to employees who seek clarity on their strengths and weaknesses, and motivations. Clients who choose the MedBest Premium package will receive a personal evaluation by a certified DISC professional. Candidates can also opt to participate in the DISC assessment for their own insight, and will receive a personal evaluation as well. Job matching is one of the most important services a recruiter can offer. A recent survey conducted by the American Association of Medical Colleges (AAMC) found that personality is a more important determining factor than pay rate in choosing a medical specialty field. That is why we take the time to match a candidate’s character strengths to your company after running them through stringent processes. As former executives in the healthcare industry we have witnessed how a business can lose thousands of dollars by hiring the wrong employee. We are dedicated to eradicating time and money wasted in the hiring process. The DISC assessment boasts a 92% retention rate when fully implemented. We highly recommend the MedBest Premium package for those seeking long-term success. After placement, we follow up with both parties at one and three-month markers to ensure the match was a success. Traditional hiring methods that use only a job description, educational requirements, work experience and an interview can fall miles short in the hiring marathon. At MedBest, our core values reflect our promise to you: to be the best healthcare recruiters in the industry. Our 25-step program is just one of the ways we go above and beyond for our clients.  If you are in search of exceptional healthcare management, choose MedBest for all your placement needs. We have a strategic alliance with Cultural Alignment Solutions and we have been fully certified with our assessment process that combines three sciences to help you hire the best people, reduce conflict, improve communications and unleash team performance. These assessments serve companies in 90 countries across the world. We have positioned ourselves to have some of the most advanced career assessment tools and talent analytics. The key to successful talent management and personal growth is the knowledge of each person’s unique behaviors, motivators and skills. With this knowledge people can be effectively coached by maximizing strengths to achieve the organization’s goals. Our goal and focus is to find employees that are dedicated to their employers, truly passionate about their work and the ideal fit for the specific position. There is a clear connection between engagement, performance and profit. It is imperative to drive performance results at all levels of the organization in order to seize market position and steer growth. Recruiting talented candidates is not enough; it’s crucial that people are assigned to the specific roles where their talents will have the greatest impact on achieving company goals, and where they are most likely to remain fully engaged. Matching each person to the right job using our patented job matching process give you the ultimate edge over competitors while boosting employee morale and building superior performance and engagement. Overall profits and productivity are up when employees are fully matched and engaged.